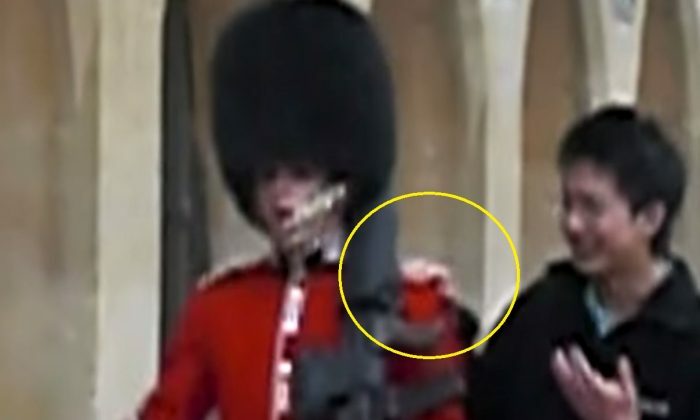 A tourist was annoying a Queen’s Guard soldier outside of England’s Windsor Castle. However, the soldier didn’t take kindly to it, and he pointed his rifle at the tourist. Video footage uploaded to YouTube shows the tourist mocking the soldier by walking right by him, and his friends can be heard laughing in the background. “Get back from the Queen’s Guard,” the soldier then says after he places his hand on the soldier’s shoulder.